Financial literacy in Australian is low, particularly so in those under 25 years of age. What might be surprising is that it is low even among university students. Recently I was part of a research team that undertook surveys of students from across Australia aged 17-20. Students were asked to rate their understanding of different areas of financial importance: budgeting, saving, managing debt, investing, retirement planning, tax, insurance and superannuation. They were then asked to answer some basic questions related to each of those areas, with some interesting results that are yet to be published. Students overall rated their understanding of budgeting and saving reasonably high, with 55.4% considering themselves to have a high understanding of budgeting and 66.7% a high understanding of saving. Students generally rated their understanding of the other areas lower, which means many students who have managed to secure a place at university don’t believe they understand about debt. In fact, 35.8% rated their understanding of managing debt as low, and a further 15.7% as very low.“ This would combine the affected paragraph and also the next one. University students have access to credit that most young people with poor financial literacy don’t - through the Higher Education Loan Programme (HELP). 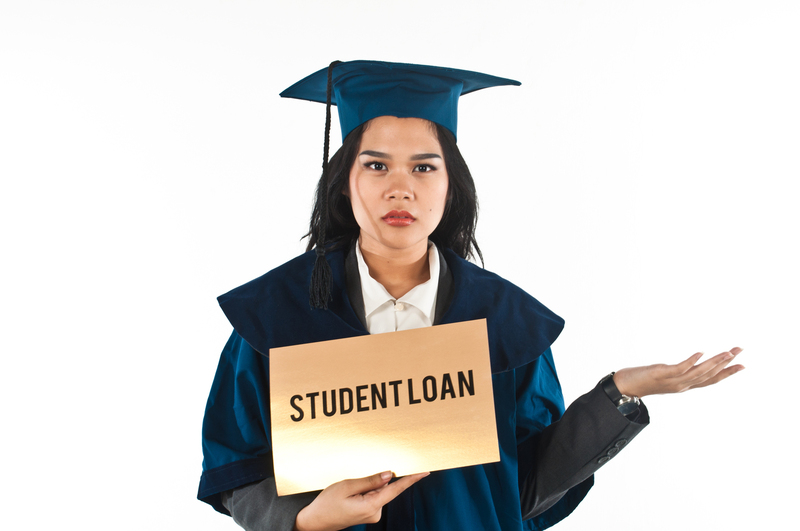 Many students take advantage of these loans to help pay their way through a degree and there is an assumption that they know and understand how these loans work. While the survey did not test student understanding of income-contingent loans such as HECS-HELP, it did test some other basic concepts that are tied to it. For example, only 40.2% showed an understanding of inflation. Given these loans are indexed to CPI, do students understand that these amounts won’t remain at the original cost of the degree? Their overall self-rated understanding of tax was found to be low, with a mere 11.2% rating it as high or very high. While 57.8% were able to correctly calculate tax payable on a given amount, this dropped to 18.6% who were able to calculate assessable income in a slightly more complex scenario. Based on the results of our survey, these students are going to find it difficult to understand payment thresholds for HECS and the percentages that need to be repaid. So too the drop in income that will accompany reaching that threshold. Their understanding of super was also incredibly low. Only 36.8% knew super was taxed at a lower rate and only 36.8% could identify the best indicator of fund performance (returns after fees are deducted). 62.3% did have a super account, although 10.3% admitted not knowing if they did. There is no doubt that a university degree currently costs a substantial amount of money. Under a deregulated system, this would rise. This would mean an increase in debt for students who potentially don’t understand how to manage it. Further changes such as introducing a real interest rate, originally proposed in the 2014 budget but withdrawn later that year, would create further issues. Nearly 15% of the students could not answer this question, showing they don’t have a basic understanding of how interest works. This is not to say we should remove income-contingent loans; these are a necessary option for many students to attend university. But students need more information about what they are signing up for. More thought needs to be given to students’ ability to understand the financial implications of fees, debt and income-contingent loans, and what a new deregulated university environment would mean. This applies especially to the consequences of acquiring even more debt. • This article previously included a sentence that stated only 4.4% of students were able to correctly answer a question around money management. This sentence has since been retracted.